Even with the best intentions of having a clean, tidy, organized, and presentable home, the room that’s most often the last to receive any attention is the master bedroom. Even if you focus on other areas of the house or just don’t feel the need to make a fuss over where you sleep, it’s still valuable to have a peaceful sanctuary to retreat to at the end of the day. One of the best ways to make your bedroom relaxing and rejuvenating is to de-clutter and streamline the ways in which your clothes, seasonal items, jewelry, and accessories are contained. You don’t need a ton of time or money to make meaningful progress. Try one of these 14 simple and quick DIYs that will make a big difference creating an organized bedroom! 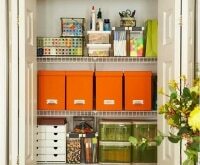 Have the organizing bug? See our tips for decluttering toys, bathrooms, kitchen, and holiday décor! There’s no need to spend money on expensive drawer dividers. With just some foam core sheets and pretty contact paper, you can make perfectly-fitting dividers for mere dollars! 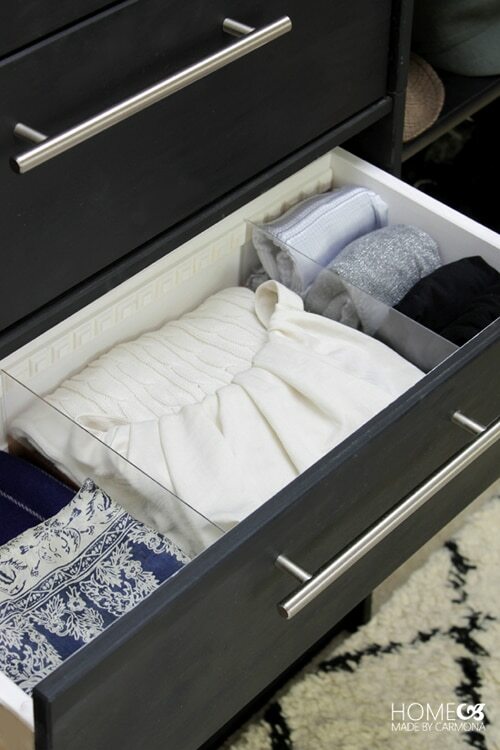 If you desire an ultra-chic yet budget-friendly way to keep your drawers tidy, try this clever project. Acrylic sheets cut to size paired with painted wooden molding result in a stylish and functional way to divide and conquer. Look no further than the plumbing section to keep your unmentionables sorted! Slice large PVC pipe down and paint in pretty hues to create cubbies that can hold a variety of items. Want more drawer organization ideas? Consider using cereal boxes to corral your items! 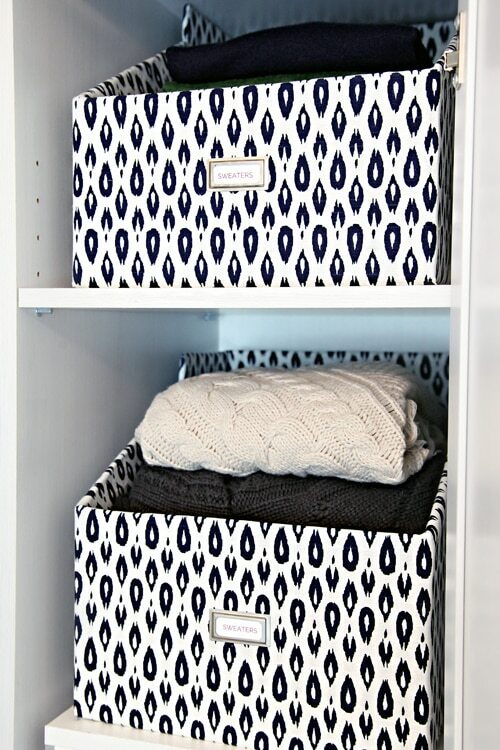 …And don’t forget to check out these affordable closet storage solutions! 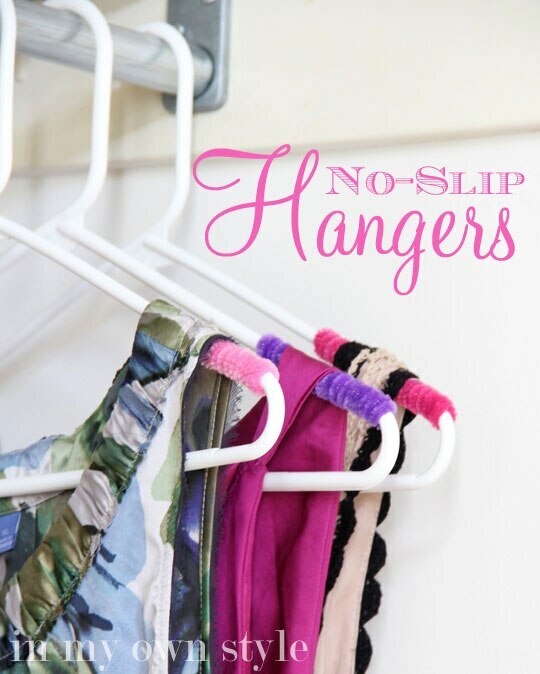 Tired of picking up blouses and dresses that slid off their hangers? Instead of investing in expensive no-slip hangers, transform the ones you already have using pipe cleaners. 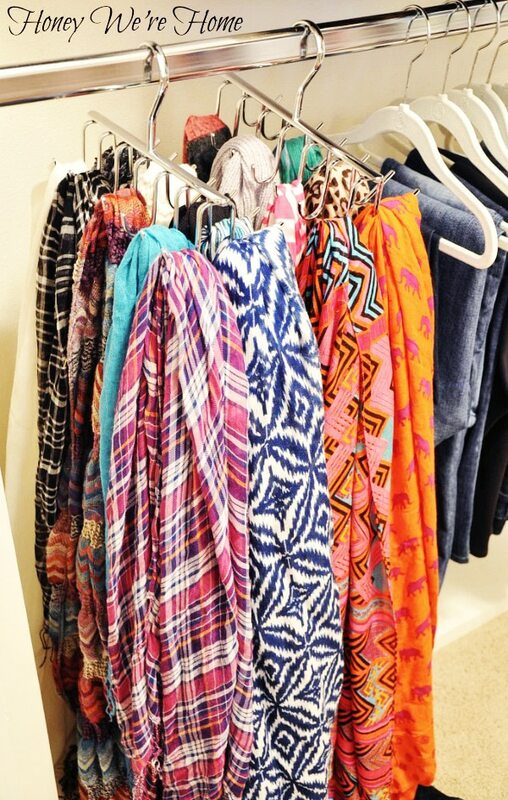 Scarves can be tricky items to keep sorted and organized in a tidy way. 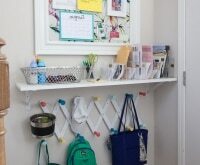 See how these clever hanging organizers found on Amazon contain scarves in minutes. Best of all? Each one is easily accessible without disrupting all the others! Tired of sweaters and sweatshirts toppling over on open shelves or quickly becoming unfolded? Fashion up some pretty yet budget-friendly sweater boxes out of plain cardboard boxes and fabric. 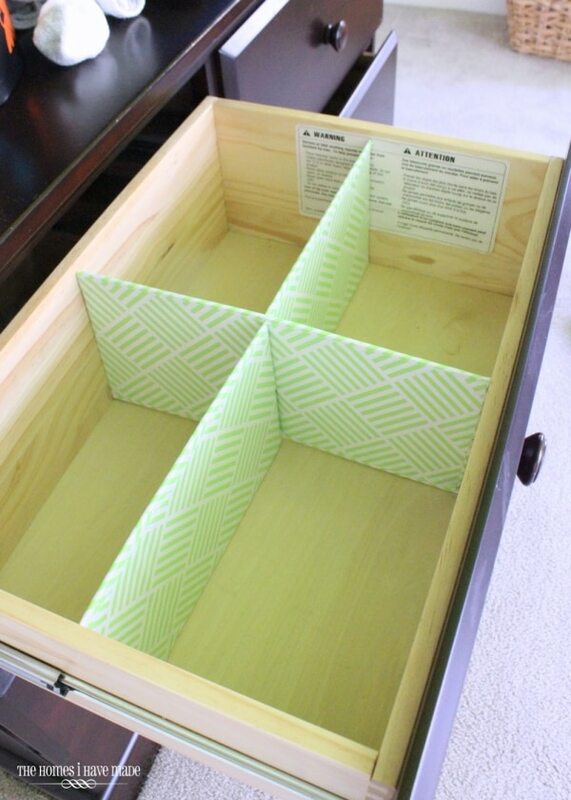 If you don’t have extra fabric for covering your boxes, JoAnn Fabrics or Hancock Fabrics are both a good bet for finding a fresh and welcoming pattern. Plastic shoeboxes are a great way to keep shoes organized, matched, and tidy. To make finding just the right pair a breeze, add picture labels to the front of each box. Make your bedroom and closet an even more welcoming space with a scented candle or freshen up with a spritz of Febreze. If ties are more commonly found on the floor or jumbled in a drawer than organized on hangers, it’s time to come up with a better storage solution. 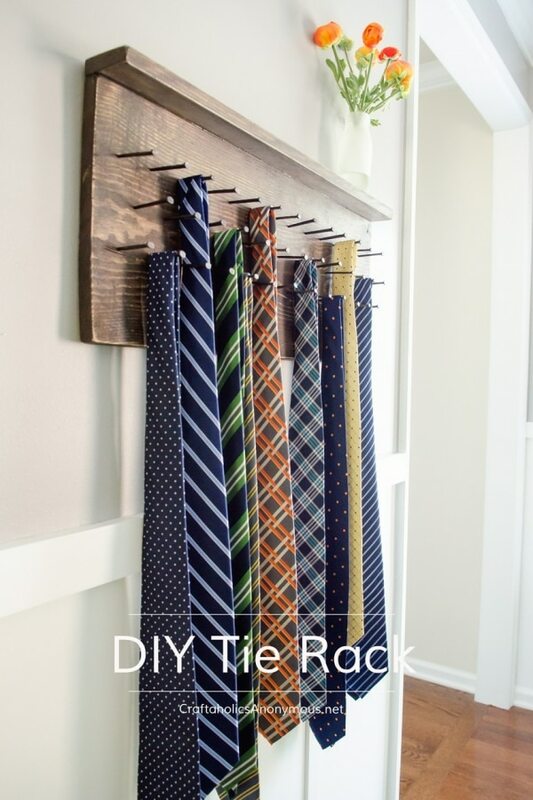 This simple and rustic DIY is user-friendly and masculine enough for any man’s closet. 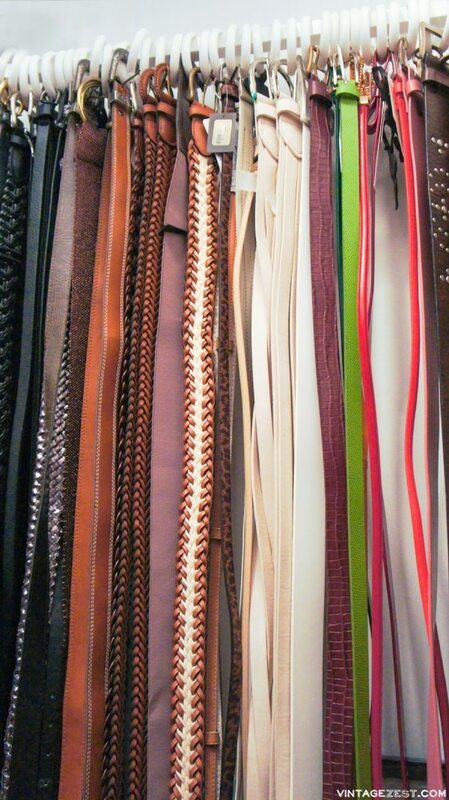 If you have a sizable belt collection, keep them un-tangled and easily visible with this simple solution. Shower curtain hooks over a rod allows you to clip and un-clip your belt of choice with ease. 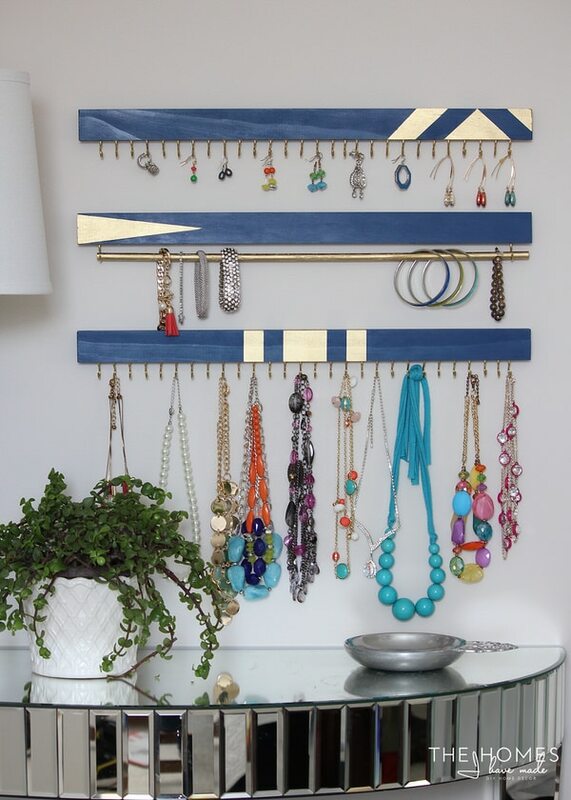 Instead of putting all your jewelry into a box where it can get tangled and forgotten, display it as functional art with this easy DIY system. Ample hooks and rods make finding just the right accessory a breeze. Need more closet inspiration? 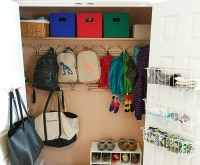 Check out these 12 amazing closet makeovers! 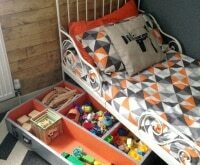 If your room is small and you’re short on storage space, consider adding some under-bed storage. 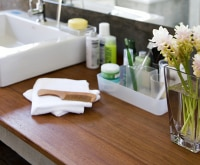 Instead of using unsightly plastic containers, consider rolling wooden drawers instead. Making your own is often cheaper, and you can customize the size and shape specifically to your needs. Blankets stored in piles can topple, and they’re often too bulky for drawers. If you like to keep extras on hand, try this clever way to store them. 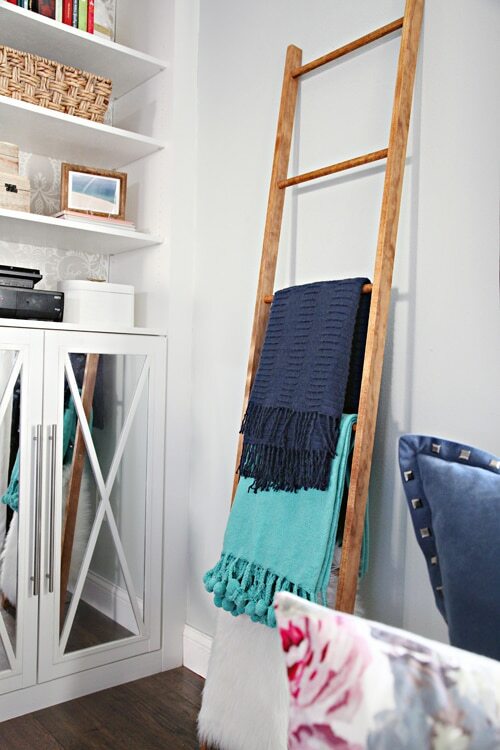 A single trip to the hardware store will yield all you need to make this DIY blanket ladder. Heading to the hardware store to make your own blanket ladder? Bring along your Lowe’s or Home Depot coupon codes to save a little extra. 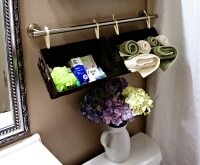 Laundry baskets don’t have to be unsightly or single purpose. Instead of generic plastic ones, try to find baskets that can double as decorative ottomans or bench seating. Don’t hesitate to blend them into your décor by changing out the fabric on the lids or adding decorative pillows! Running low on laundry detergent and fabric softener? Pick up some Downy® and Tide® coupons before your next shopping trip and save! Adding storage ottomans to the foot of your bed is a great way to add both extra storage and seating. 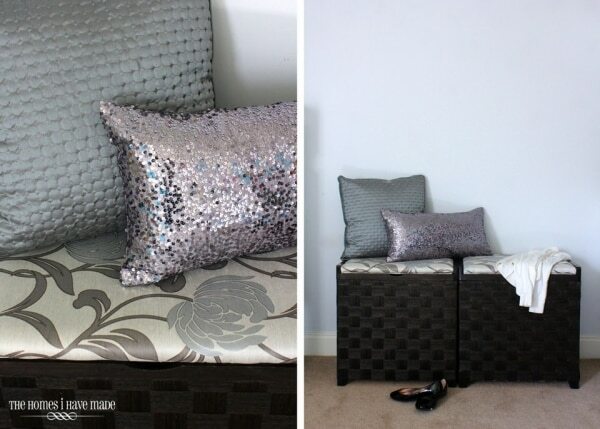 This detailed tutorial shows you exactly how to re-cover an inexpensive basic ottoman to match your home perfectly. 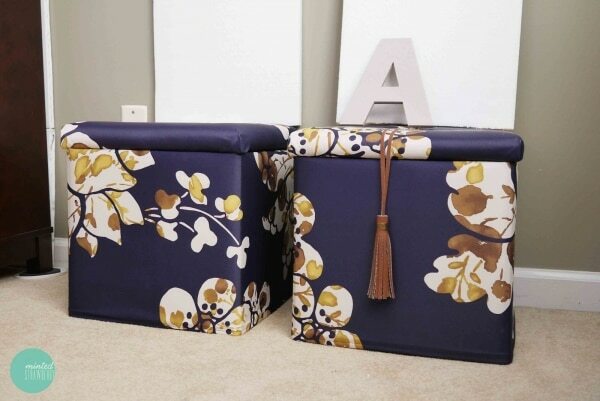 You can find an inexpensive folding storage ottoman like the one used in the project above on Amazon! 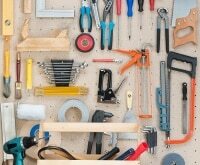 Small organizing projects like these can have a big impact on your day-to-day living. Whether it’s because of less clutter around you or being able to find just what you’re looking for with ease, these clever solutions will make for a more peaceful bedroom and a less stressful experience getting ready. Need more smart storage solutions? 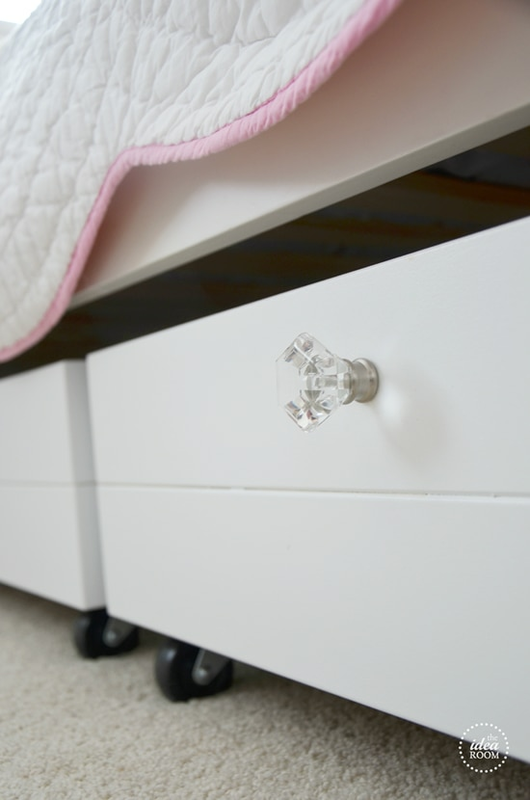 Here are 19 more bedroom storage hacks to try! So this weekend, give your master bedroom some TLC. Look around your space, decide on the biggest problem area, and start there. 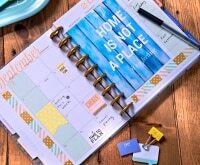 By taking on just a few of these DIYs, you’ll have a tidy place to get ready and take on the day! Having moved five times in nine years, Megan is a pro at making living spaces functional, personalized, well-styled and organized. 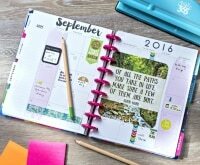 She specializes in renter-friendly and home organization projects.